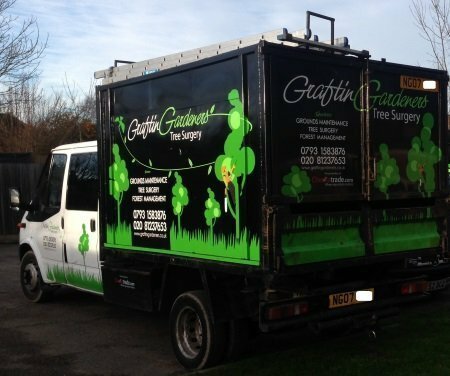 GraftinGardeners are tree specialists, providing tree surgery services for commercial and residential clients in South West London and surrounding areas. 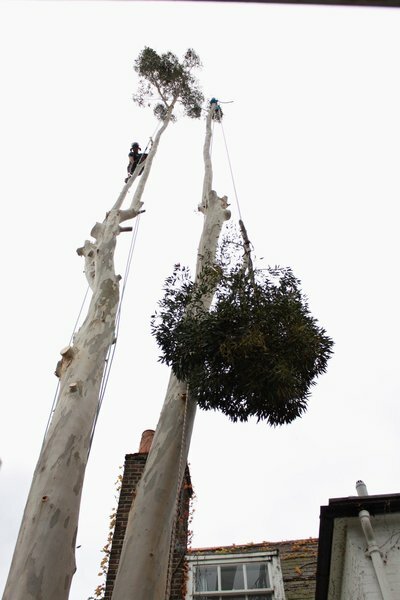 We are a family run tree company and have four teams of arborists, which consists of consultants, climbers and groundsmen. All team members hold relevant NPTC qualifications and hold a £5 million liability insurance policy. You can feel safe knowing your trees are in the hands of fully qualified personnel at all times. 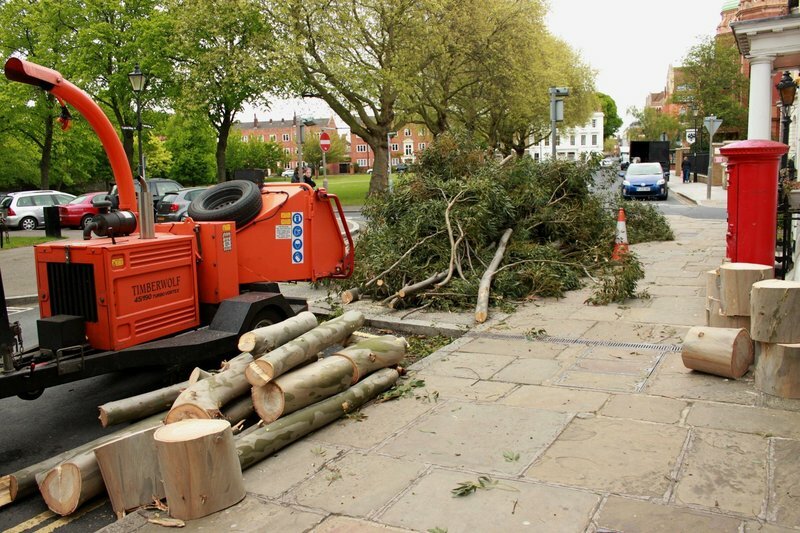 Our Services include: tree felling, pruning, stump removal, emergency tree work, ivy removal, planting, hedge trimming, tree lighting, cable bracing and safety reports. We are industry leaders in the tree care sector and pride ourselves for having high standards of work. 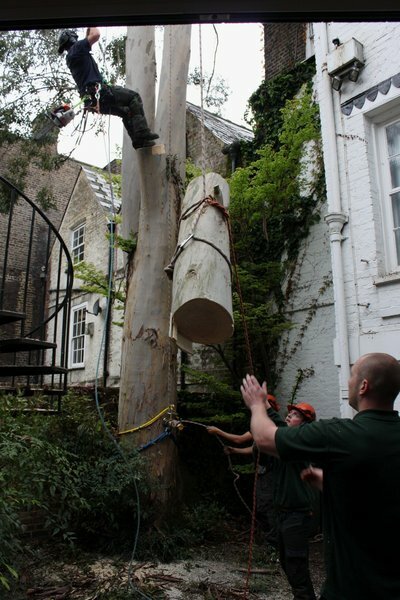 You can always expect a professional service from our friendly and trusted tree surgeons. From quotations to completed works, we guarantee complete customer satisfaction, and that's a promise! Cleared a number of shrubs and trees blocking all the natural light which were overgrown. Competitive quote, arrived on day booked as scheduled, completed the job as specified in the same afternoon, left it clean and tidy. Exactly what we wanted and looks great. Highly recommend. Prompt, courteous and professional. Will use again without hesitation. GraftinGardeners were listed on the council web site and got good reviews on trader reference sites. Our 80ft Silver Birch was subject to a TPO and much loved by us but was weakened by the prolonged dry weather and developed a dangerous lean. Adam from GG came the same day and advised felling. GG obtained a five day permission to fell on our behalf and the work was done promptly in advance of forecast stormy weather. The team was courteous, professional and hard working. Alex and his team did a brilliant job. They arrived on time, worked very quickly and efficiently, and left the garden spotless. At all times they were courteous and a pleasure to deal with. I’ve already recommended them to my neighbours. We had a laurel bush that thought it was a tree! It blocked out light from both our house & garden. Graftin Gardeners were on time, very polite, very tidy & did a great job on removing this eyesore! Very reasonable price too. Thanks for a great job on our trees, the team were all polite and extremely efficient at doing their jobs. They took down 5 large Leylandii in no time at all and the price was cheaper than all the other companies I got a quote from. Marvellous job. Delightful guys. Thank you! Very impressed with the work! Great job, fast, efficient and friendly service. Gave good advice on best options for pollarding 5 large oak trees in back garden. They are a fantastic couple of boys who work really hard. They go out of their way to clean up after themselves, and they even went out of his way to take care of a problem in the next house.